Mortgage rates are moving upwards again after a period when they remained pretty much unchanged, despite the August base rate hike from the Bank of England. In a sign that the ongoing price war between lenders is drawing to a close, the average two-year fixed rate mortgage rate has crept up by 0.13 per cent in the past month. 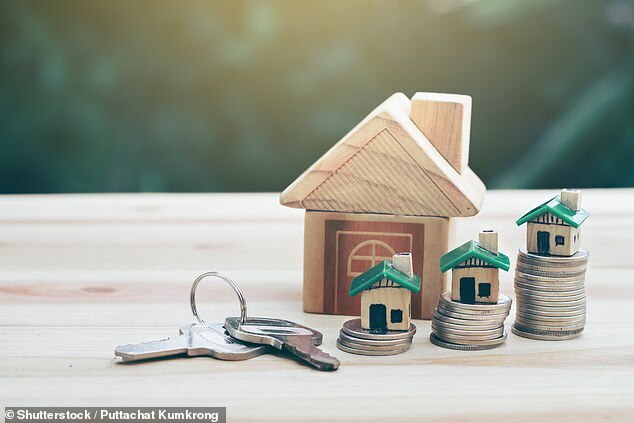 Average two-year fixed rates rose from 2.36 per cent in January to 2.49 per cent currently, according to new data from analysts Moneyfacts. 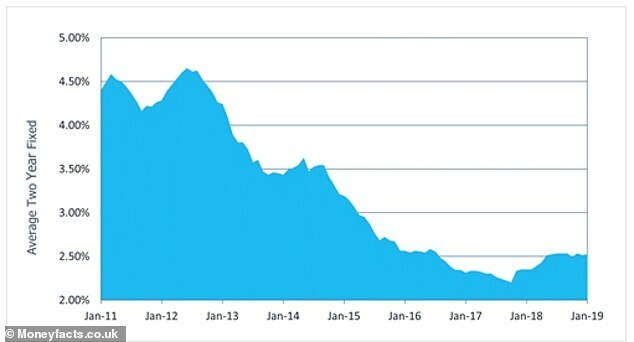 This time last year, average rates were also at 2.36 per cent, suggesting little movement in the price of loans through 2018. Heightened competition, and a pre-Christmas fire sale as banks looked to meet lending targets, have suppressed rates since the Bank of England’s base rate rise in August. And despite the average rate creeping up, a few lenders have cut rates on certain product ranges in the past week. For example, Barclays Mortgages has reduced the rate on its two-year fixed rate 95 per cent loan-to-value deal, which is now priced at 2.77 per cent. There is no product fee on this deal and it comes with free valuations. Post Office Money has also cut the rate on its two-year fixed rate 85 per cent loan-to-value mortgage, now priced at 1.90 per cent. The deal comes with a product fee of £495, which can be rolled up into the loan. The deal also comes with free valuations and £500 cashback. What are the best deals currently on offer? Top of the low rate tables is a 60 per cent loan-to-value two-year fixed rate from Sainsbury’s Bank at 1.39 per cent with a fee of £1,245, followed by a 60 per cent loan-to-value two-year fix from Santander also at 1.39 per cent with a fee of £1,499. For those looking to lock in for longer, Skipton is offering a five year fixed rate deal at 60 per cent loan-to-value with a rate of 1.83 per cent and a fee of £1,995. Lloyd’s Bank has a similar deal with a five-year fix at 60 per cent loan-to-value at 1.84 per cent but with a slightly lower fee of £1,499. Watch out for high fees – don’t be tempted by a low rate without first doing the maths if it carries a big arrangement fee. Lenders sneaked fees up following the Bank of England’s base rate rise, so use This is Money’s true cost mortgage calculator to find out how much you’ll actually be paying each month for each deal. For potential borrowers with smaller deposits, Atom Bank has a 95 per cent loan-to-value deal fixed for five years at 3.34 per cent with no arrangement fee. Newcastle Building Society also has a five year 95 per cent deal fixed for five years at 3.35 per cent and a schemes fee of £763.